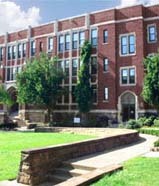 The Campus School of Carlow University is an independent, coeducational, Catholic day school for Pre-school through grade eight. We have both Montessori and Traditional Preschool programs to best meet the needs of all young learners. The Campus School espouses Judeo-Christian values, features a strong comprehensive core curriculum and champions a holistic approach to learning that develops the creativity and unique gifts of each child. Follow the links above and below for information and helpful resources for parents, students, and alumni.